The first deputy of the pro-Kiev Donetsk regional department of justice head has resigned and switched to the self-proclaimed Donetsk People’s Republic (DPR). This is not the first time Ukrainian officials come over Donetsk opposition forces lately. 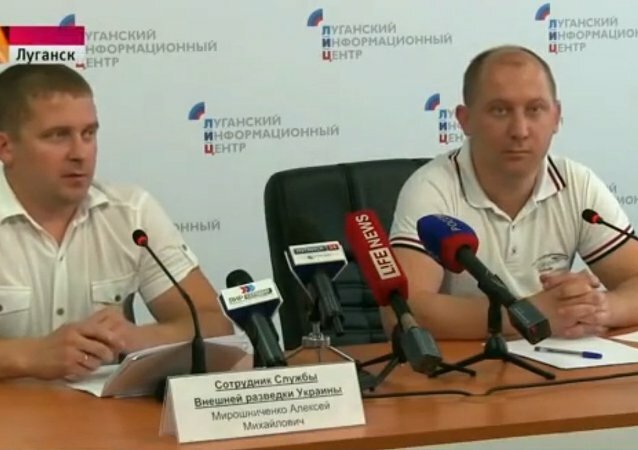 Two brothers claiming to have worked for the Ukrainian state apparatus, one of them for the foreign intelligence service, and the other for the Foreign Ministry, held a press conference in Lugansk on Monday after switching sides to fight for the fledgling Lugansk People's Republic, Russia's RIA Novosti reports.